Menopausal symptoms are created by changes in the levels of these hormones. We help manage menopause symptoms such as hot flashes and night sweats, when they are interfering with your life. Dr. Livingston is a Certified Menopause Practitioner, one of only two in Palm Beach County. Having a healthy pregnancy is one of the best ways to promote a healthy birth. Getting early and regular prenatal care greatly improves the chances of having a healthy pregnancy and baby. When preventive care is used and illnesses are caught early, you can better control your health problems. There are also many ways to prevent pregnancy. We will help you find the birth control method that's best for you. 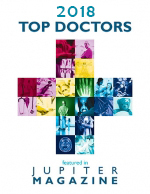 Dr. Livingston is proud to be named to Jupiter Magazine's Top Doctors 2018! Dr. Livingston is a Certified Menopause Practitioner, one of only two in Palm Beach County. He provides patients the most current evaluation and treatment of menopausal issues, including hormone replacement therapy. Dr. Livingston, Gina, and IWHB staff, Thank you so much for the amazing care I received throughout my pregnancy and delivery. Dr. Livingston, thank you for delivering safely our beautiful (and big) girl Jordan. We are forever grateful to you for smooth deliveries of both our kids. Dr. Livingston, Thank you so very much for everything you did throughout my pregnancy and through the stress free delivery of our beautiful baby boy (again). You are an incredible Dr. and we are so appreciative and thankful for you and for walking us through one of the most amazing journeys of our life! PS your staff is incredible also and welcoming and made every visit even better. Dear Dr Livingston, thank you for helping bring Alexandra safely into the world! We are forever grateful for your care & the support of your amazing staff. Dr Livingston, I want to personally thank you for always going above & beyond! You are such an amazing doctor & have such a passion for what you do. Your staff is wonderful & always brightened my day! I look forward to having you as my doctor for years to come. Dr. Livingston, Thank you so much for delivering our baby girl Evelyn. We really appreciate your hard work...Thank you again for all that you do. Dr. Livingston is also an actively practicing MOHEL, available for Bris Milah (Jewish ritual circumcision) for Conservative and Reform families. He serves as a Mohel primarily for the following counties: Palm Beach (from Jupiter & Palm Beach Gardens to Boca Raton), Martin, and St. Lucie. For the festive meal: Kosher and/or dairy is recommended. If you are Jewish, you know that your newborn baby boy has a ritual circumcision known as a "bris". The ceremony usually takes place on the 8th day of his life. A bris is performed by a Mohel (pronounced MOIL), who has expertise in the surgical performance of the circumcision, and religious training regarding the history and laws of the bris. As a Mohel, Dr. Livingston's motivation is to help provide both meaningful religious experience and a joyous occasion. He does this by taking time to explain each aspect of the ceremony, as well as reassurance and even a little humor. Dr. Stephen Livingston is a Mohel, and a Board-Certified Obstetrician. He received his religious training and mentoring from Rabbi Gary Atkins, a member of the Brit Kodesh program of the Conservative Rabbinical Assembly. As a physician, Dr. Livingston is a graduate of the University of Miami School of Medicine, and the Ob-Gyn program at the Albert Einstein College of Medicine. 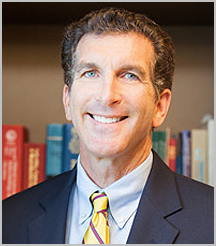 He is Board Certified in Ob-Gyn, and practices in Jupiter, Florida. To schedule a Bris or for more information please call (561)799-3722. When and how is the Bris scheduled? The Bris is scheduled by the Mohel based on Conservative Jewish law. It is expected to take place on the eighth day of life, according to the Jewish calendar on which each day starts at sundown. Consideration must also be given to crucial factors such as the baby's health and the occurrence of Shabbat. What if only one parent is Jewish? Bris Milah can be performed. Dr. Livingston has performed many such ceremonies for families with one Jewish parent, and will be glad to do so provided you are planning to raise your child Jewish. Can a grandparent arrange for the Bris? While it is gratifying to receive the initial call from a grandparent, ultimately the arrangements and the consent for the Bris Milah must be made by a parent of the newborn. Can the circumcision be covered by insurance? No. In his role as a Mohel, Dr. Livingston does not accept insurance. Copyright 2017. Stephen H. Livingston, MD.